Look forward to the rain with Barbour's Weather Comfort Collection. Designed with the British Summer in mind this range has been created from waterproof, breathable fabrics in a range of eye catching colours. 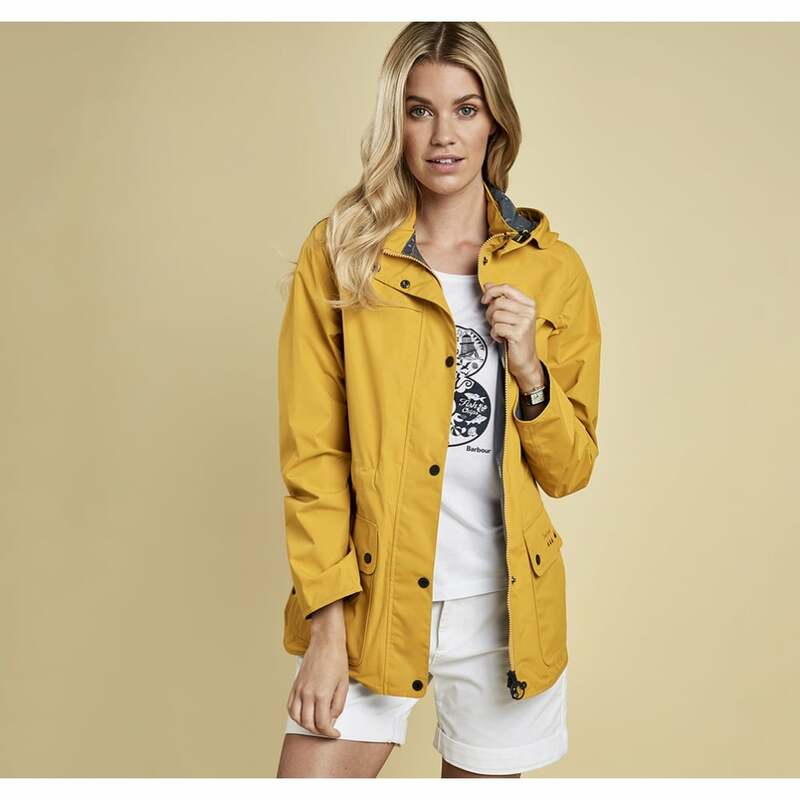 The Barometer jacket is sure to be a staple in your summer wardrobe- designed in a mid-length with detachable hood this jacket features a curved and studded side hem. Created in a regular fit it also features an inner drawcord to create a flattering silhouette. Perfect for festival goers- just add wellies!